Hunting is deeply anchored in the genes of the French people: Almost 1,3 million hunters are present in the country – more than in any other European region. The majority of hunters are from wide, agriculturally characterized regions. 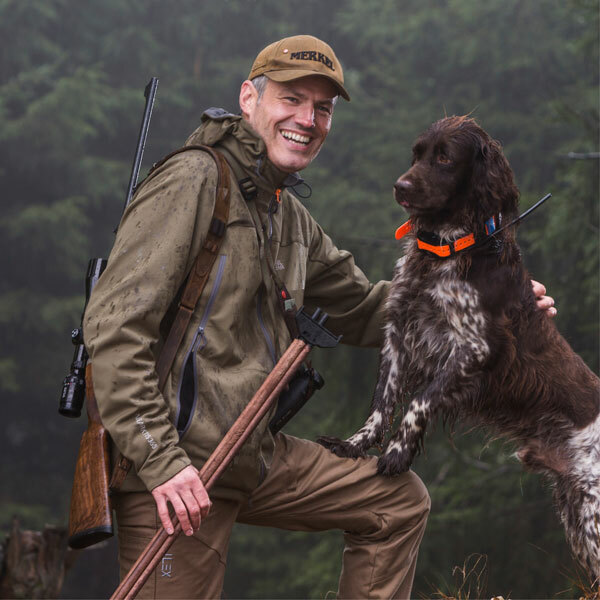 One, who knows more than almost anyone about hunting in France, is Philippe Jaeger. Being a hunting journalist and photgrapher, he has travelled all around the world, but also explored almost every area of hunting in France. One of the favourite destinations of the Alsatian is the department Tarn et Garonne, a piece of western France, not very developed for tourism, situated between the Mediterranean Sea and the Atlantic. We are accompanying him and his K3 on a stalk. 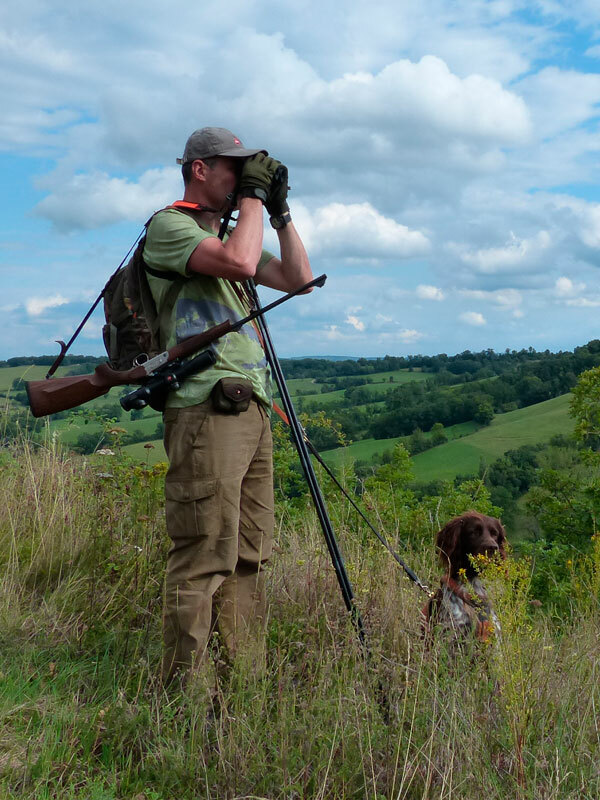 There are hunters who know the area like the back of their hand, there are hunters who know the flora and fauna and there are those who are excellent shots. Then there are people like Philippe Jaeger, who opened up to hunting with thought and intuition. You get the feeling, that this strong, trained person who is in his prime could be dropped with a parachute, his rifle (and his small Münsterländer Oryx) anywhere in the world – together they would find their way and prey. A complete hunter. The department Tarn et Garonne is a large, park-like terrain with oak forests, meadows, fields surrounded by field walls and hedges. In-between, there are far-flung farmsteads and the characteristic houses and pigeon towers made from field boulders. To summarise: a paradise for roebucks. As everywhere else in Europe, these horned fellows are in the rut during the middle of the summer. Hunting time! The air is shimmering in the summer heat of 35 degrees. The French hunters are organised in local associations; every association has its own shooting plan, which is strictly controlled by the authorities – there is a hunting police present and every shot animal has to be marked straight away. Whoever is caught with a shot animal that is not marked with a band between tendon and leg is risking a lot: hunting license, expensive equipment – possibly even the car he used to get into the hunting area. It may be the difference in philosophy that makes these hunting grounds so attractive to German hunters: Bucks here carry (seemingly undisturbed) opulent trophies through the forests and meadows. 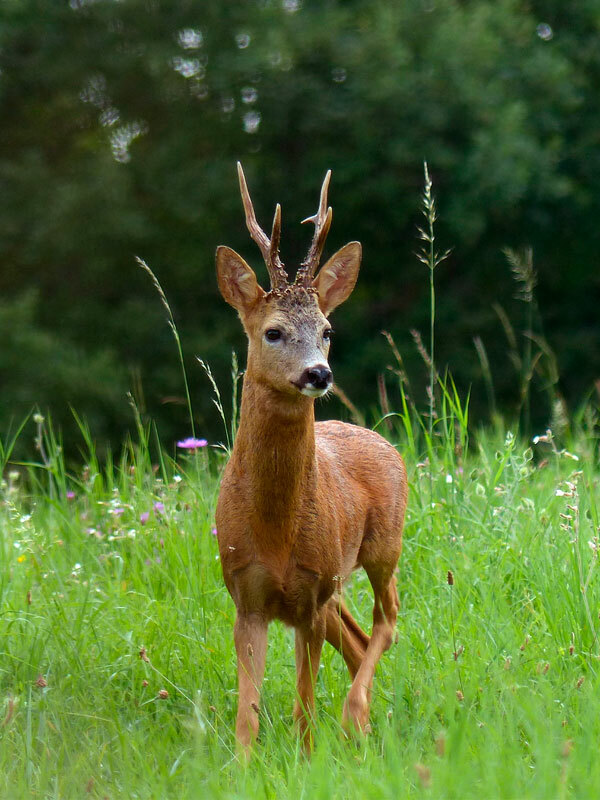 The reason for this might be, that the French colleagues, in the tradition of Obelix the Gaul, are mainly interested in wild boars – and happily and cheaply sell the licenses for roe deer to the hunting tourists. Far and wide no “Mirador”, that’s how they call the high seat here: The preferred hunting method here is stalking and the Merkel K3 single-shot rifle is an ideal companion for this. Philippe Jaeger: “It is light very precise, even at great distances. And it is so beautiful, a classic. ” The single shot rifle is built from wood and steel around an aluminium bascule. The locking mechanism of the steel tilted block goes back to the Suhl gunsmith Franz Jaeger. The tilted block locks the barrel at the top in an over-hanging groove and at the bottom with a pin. Using this, the tilted block absorbs the force of any cartridge without straining the aluminium bascule. The tilted block is a key element of this handy, light-weight construction, which does not weigh more than 2,9kg and is easily carried through woods and meadows. Philippe Jaeger uses it in combination with the calibre. 270 Win. A special feature of this rifle is the in three stages variable weight of the finely tuned trigger – to do this, a small lever is located on the trigger guard. General rule: the farther the shot, the lower the weight. Jaeger carries a wooden caller. And you quickly realize that he has mastered this difficult, musical art excellently. In any case he will get attention every time when a buck crosses his stalking path. The deceptive trick of Jaeger: The caller imitates the call of a fawn – the buck knows, that the doe cannot be far away from it. Philippe’s equipment is completed by light-weight 8×32 binoculars and a shooting stick made from carbon, for which he fashioned a sound dampening out of leather. Soundless movement is one of the top priorities for a hunter. “K3 and stalking fit well together” says the hunter. Nonetheless the flexible shooting stick allows the strengths of the rifle on the steady rest to be played out: the one, single precise shot. Late at noon an old king, with a 530g heavy crown, fell right after the shot. Shot distance: far! More than 200 meters. France is a far land. Philippe: That was a process. I am enthusiastic about ornithology and this led me to increasingly close contact with nature. What is your preffered type of hunting? Philippe: The stalking of high game. Philippe: Roe deer and chamois in the mountains. Philippe: To hunt as long as possible with my son.